It is raining and we have seeds in the garden that are LOVING it. This girl? Not so much. Ok, back to the garden. First up: a disclaimer. I am not an expert gardener. Take everything I write in this post with a big ole grain of salt. 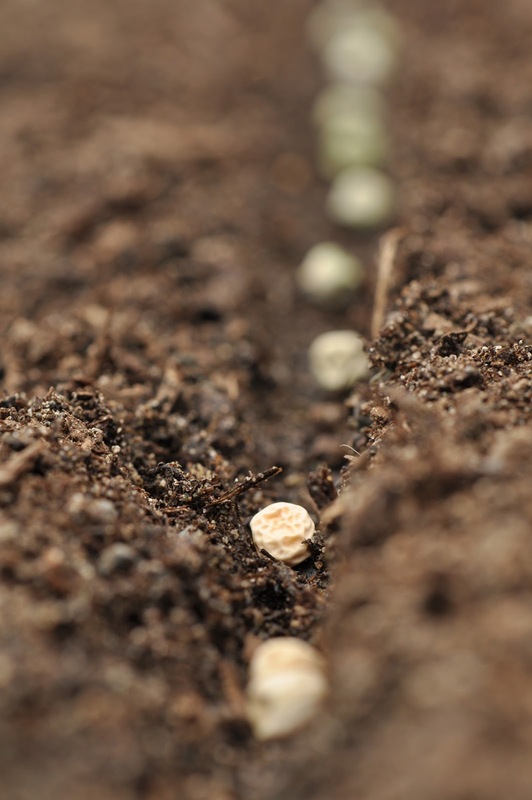 I grew up gardening with my parents (I have many fond memories of poking seeds into the ground and harvesting peas with my mom) but I have made heaps of mistakes over the years. Most of them involve not watering enough. Presto! 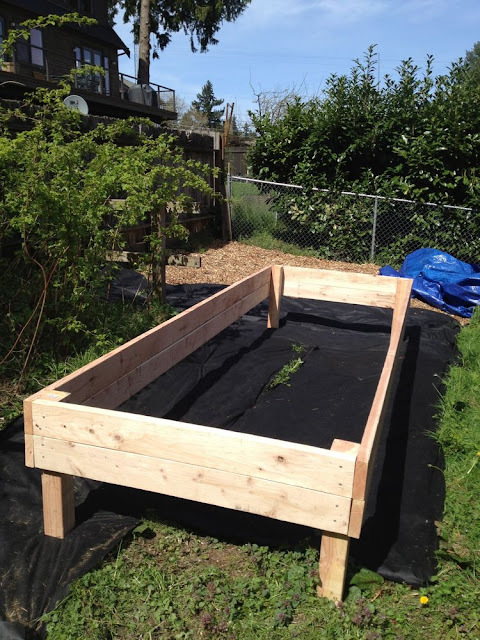 Raised beds! These measure 4x12 and 4x8. Then, on Tuesday, I hired myself a millionair named Michael who worked his hinny off and hauled two yards of soil up the hill and deposited it in the beds. Thank you, Michael! You seriously rock. The hardest part, for me, is figuring out how much of each thing to plant and then to decide on the spacing. I actually got out a ruler to space out my rows of lettuce. I know, that is so not like me. So, nothing too groundbreaking but things I know how to grow. I thought about a few others: squash and corn, but decided that those took up lots of space that I didn't have. Also, corn is occasionally tricky in Seattle. Mine is never 'knee high by the fourth of July'. The nice thing about carrots is that you can plant them in waves and harvest throughout the summer. Same with a few other things. I did a quick sketch so I'll know which stuff is where. I am so excited for these blueberries. Yum, yum, my favorite! You prepare very beautiful bed. One question from my side that are you using top soil or normal.